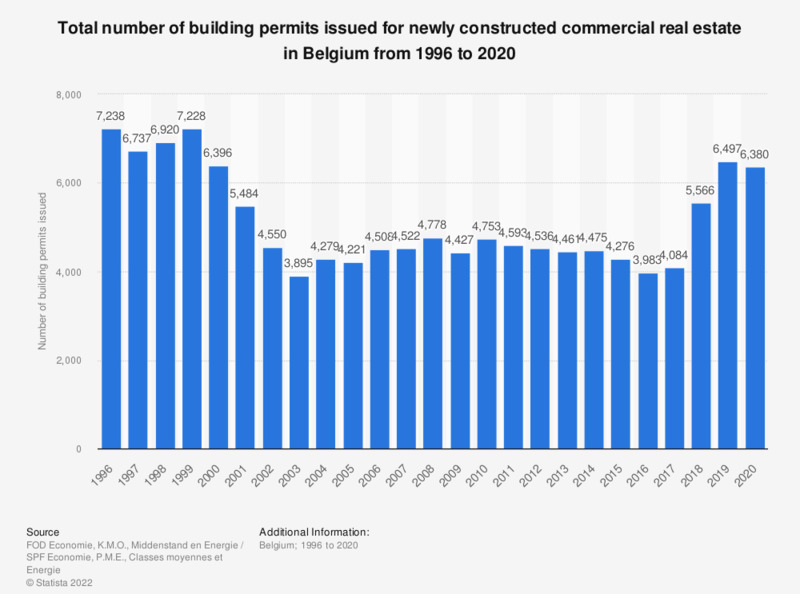 This statistic shows the total number of building permits issued for newly constructed commercial real estate in Belgium from 1996 to 2017. In 2016, 4,068 building permits were issued in Belgium. This is an increase when compared to the previous year.